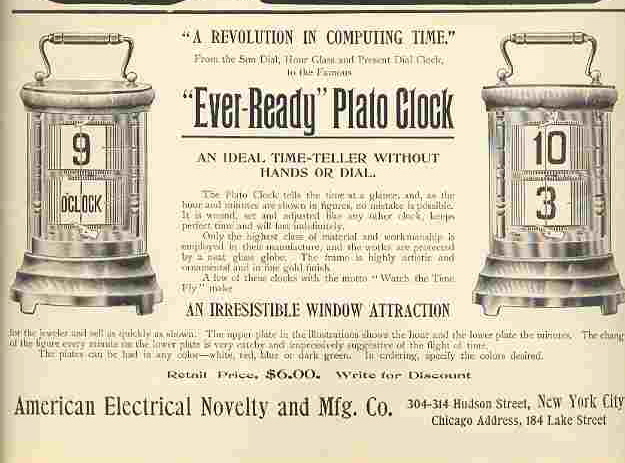 We have come a very long way since the St Louis World Fair and those quaint spring-wound Plato Clocks. The clock had a set of Rolodex type digit cards, the hours at the top, the minutes beneath.The whole thing was spring-wound. What a work of art, obsolete but intricate. Fast forward just over a century, and the digital dream has been made possible because of the miracle of quartz. It was in 1968 that a prototype digital wristwatch was produced for Stanley Kubrick’s 2001: A Space Odyssey. Two years later, the Pulsar hit the stores, a mass-produced digital watch. Clockwork is dead: long live quartz. The graceless things that sat on our wrists for decades are far less favoured now. Now, we like a nice dial, albeit quartz driven. Unless our name is Felix Shrewsday. We had a long solemn discussion about earning points towards a watch. Felix hankered after one, but he has been grumpy lately. We brainstormed what constitutes polite behaviour. And for many weeks now he has been working on polite body language and polite dealings with his family. And finally, he has earned the requisite amount of points to acquire the watch of his dreams. “Can I have a digital watch please?” he enquired. That did not go down well with a teacher mother. Where’s the learning in a digital watch? But Felix was adamant. So his father looked on eBay, and found a joke-large one for £2.99. Despite his delight when it arrived a couple of days later, I winced as Felix put it on his wrist to wear to school. Yes, it was as big as some small television screens, but Felix’s hero, his father, had bought it; and it was certainly a signature piece in any outfit. With its huge red display, Felix pointed out earnestly, it matched his school uniform. I grimaced and acquiesced. But within three days the watch was home: its strap had broken. So, we searched and found one with bells and bleeps and calendars, one on which the colour of the dial illumination changes during the day, though we have not worked out why. He spent a long time working out why it bleeps, and specifically when it bleeps, and how to make it bleep. And he put the watch on his arm and headed, proud and delighted, off to school. It turns out that bleeps are a pull for quite a lot of people. One of Felix’s fellow football team players took a liking to the first giant watch and turned up with the outrageously large display on his wrist. But it didn’t bleep; so it fell to most of the other boys in his class to badger their parents into getting digital watches that bleeped and played little tunes and ditties and sang in tiny mosquito tones of the passing of the hours. About two days ago, the digital retro revolution in Year Five was complete. The majority of boys now had enough bleeping hardware on their wrists to rival the crew of the Starship Enterprise. Perhaps you can anticipate the consequences. Felix’s teacher is a straightforward soul, who works hard and strives to control the spirited bunch of comrades that is Year Five. Two days ago, whilst nine o’clock passed in a flurry of administration, ten o’clock was right in a silent moment of study. And all of a sudden, a cacophony of tiny bleeping devices set up a small electronic atonal symphony that Schoenberg himself would be proud of. And so passed every hour until the teacher, nerves frayed and protesting, ordered that every single watch be put on silent. Reluctantly, Felix and his classmates did as they were told. And so silence is no longer golden: but a sort of matt black plastic with Hal-approved soundless blinking time, counting the lessons away. Posted in Shrewsday MansionsTagged children, digital watches, family, humor, humour, quartzBookmark the permalink. Brilliant. Hated the Pulsar and all subsequent efforts but loved this piece. Fantastic, Kate. I haven’t worn a watch for the last 25 years: I just stopped wanting to know the time. I know the feeling, Roger. Time has a habit of tapping me on the shoulder and telling me I’m late. I’d love to give him the slip for a decade or two. I never wanted a digital watch… I just wanted hands and ticks… Oh, and a nice big chain. My grandfather has a picket watch that I used to play with all the time. It hasn’t worked in years, but I still love to hold it and feel it’s weight, cold metal against my hand. No bleeps for me, Kate. I save those for my own son. Oh, that is a stunning piece. Thank you for sharing it with me. I mentioned the same World’s fair in my post tonight. We are thinking on the same wavelength. I think the ether is a more substantial entity than we realise, Steven. This is always happening to me: if you listen hard enough the ideas are drifting round with an itinerary. The blogosphere seems tuned into it. Perhaps this is one of the major places people reflect, these days. Thanks, Fiona. Made us all chuckle listening to Felix telling the tale. Probably 😀 Digital watches are charming a whole new generation, Laurance! An eight year old boy is currently playing with his bleeping digital watch. The bleeps must signify more than passing time, perhaps they signify an entrance into young adulthood, the bleeping of your own watch on your own wrist surely represents the growth of each bleeping individual. A small subtle subversion 😀 Thanks for coming along and commenting today. I love it! Before long if no one changes the mini mental to determine dementia we will all be classified as one of the tests is to draw the face of a clock. What a thought, Chris 😀 What other icons of our time are passing into history, and will turn up in the test, I wonder? I love watches and am a sucker for very nice ones with hands and second hands, don’t care much at all for digital or ones that bleep, buzz or squeak. I have four that I wear on a regular basis and they are each unique. One is a straight forward Seiko that has alarms, calendar, stop watch etc. I never use the functions because that would mean I would have to figure out how to work them, fun seeing them, though. A second is a Phiip Stein with a Teslar movement and two faces with two batteries. The two batteries are supposed to provide some type of calming effect…I just like the look. A third is an Ebel bought in 1975 in the cruise capital of St Thomas, very elegant and used for dress up days. The fourth is my latest and bought last May on a 25th Anniversary cruise. It is an Omega SeaMaster Diving Professional and the next time I am in a diving bell at a 1000 feet deep, my watch and I will be in tip top shape. I hope that young Master Felix develops a love for watches with sweeping hands that require winding or movement, he will be in watch heaven. I love a quartz watch . . . with a sweeping (and silent) second hand to mark the passage of time. The teacher must have been going bonkers with all the beeping. I would have loved to be a fly on the wall, Nancy 😀 And I am with you on watches. All the conveniance of quartz, and the elegance of a dial. Oh I remembered those days, everything digital was better, everything that beeped,bleeped, ticked, sang and dripped (water proof “diver” watches were the thing back then). I know how you feel Felix, I know how you feel…. Do you know, Rafael, I remember a little of that romance too; along with Space 1999, and Logan’s Run. Somehow the culture embraced it and children of the seventies will never forget the digital watch. I suspect a lot like what it did when it was cranking out clocks. As for Felix’s watch, I say, let the young chap indulge his bleeps and blats. Most kids on this side of the pond, even ones as young as F, rely on their cell phones for the time. I’ve always been partial to wristwear myself. Glad to know that there still are some members of the younger generation that welcome wearing them. The bleeping may be irritating, but I’m genuine in my comment that it pleases me to hear that watches, for any reason, are still valued! Even in the very young, it seems that all the digital devices, and even cell phones for children, are becoming the currency for time-telling. I have lamented that fact. You’ve given me a boost! 🙂 The scenario in the classroom, however, is richly entertaining to all except the teacher! On a side note, thank you for taking the time to teach your son polite behavior. It seems common sense to do so, but sadly, today, too many parents don’t. I’m happy to learn that I was born in the year that a prototype digital wristwatch was produced, Kate… I’m easily pleased! I can imagine the noise in class though, on the hour, every hour. I wonder though, would it be worse if every timepiece was in time, or seconds out? A watch keeps a check on things in his house too – the alarm function a useful reminder for certain diabetics and their injections. Talking of polite behaviour reminds me of the time when two small boys seemed to have no regard for the space others might need in crowded places, such as on the pavement: this was solved by their father who suggested that those on the pavement were aliens and needed to be avoided, in case they exploded…..just like in a computer game. That wouldn’t have occurred to me and my female brain! Having been a teacher myself, once-upon-a-time, I knew where this was going, and I smiled just the same. No harm done – just so they don’t do it again. When our younger daughter graduated high school, I was on the board of education and participated in the ceremony. That year, there were actually three of us that had kids graduating. We each took our turn with part of the alphabet, having our own 18 year old in the mix. The first group went across the stage, one by one, shaking the hands of powers that be. I noticed mom #1 was a bit frazzled. As she changed places with mom#2, she gasped “they all have marbles”. By the time my turn as mom #3, I was on to them. Some of the boys had marbles in their right hands and releasing them as the shook. I didn’t know who had marbles, however. and got a handful pretty quick. Next lad, however, that shook my hand and I shook right back and thanked him, but, says I, I still have my marbles. Poor kid didn’t know what to do. Dear Kate, ever time you write about Felix I find myself wanting to meet him. He’s curious and inventive and lively–all the makes a fifth-grader a delight to teach. Peace. *shocked* Such language! This post is full of bleeps! Well, at least they were triumphed over, at the end. Well, this left a smile on MY dial! Thanks for the huge laugh. My cellphone is my digital calendar-clock. my wristwatch is pretty and hands that wander around in a sometimes annoying fashion, sometimes seeming to whirl round like dervishes (funny how that happens when deadlines loom) and other times are static for what seems like aeons. Silence reigns from them both, excepting for the (weekday only) morning alarm. Oh, god the beeps! My brother had one that he lost somewhere in his room, and we would hear it go off at odd and unpredictable times. Of course by the time we got to his room to chase down the rogue accessory? It stopped. I still wear an analog watch. It’s powered by a battery – very quiet. If I were in Felix’s teacher’s shoes, that cacophony of bleeping would have driven me over the edge, too. Just the thought made me wince, Kate, and it made me laugh.